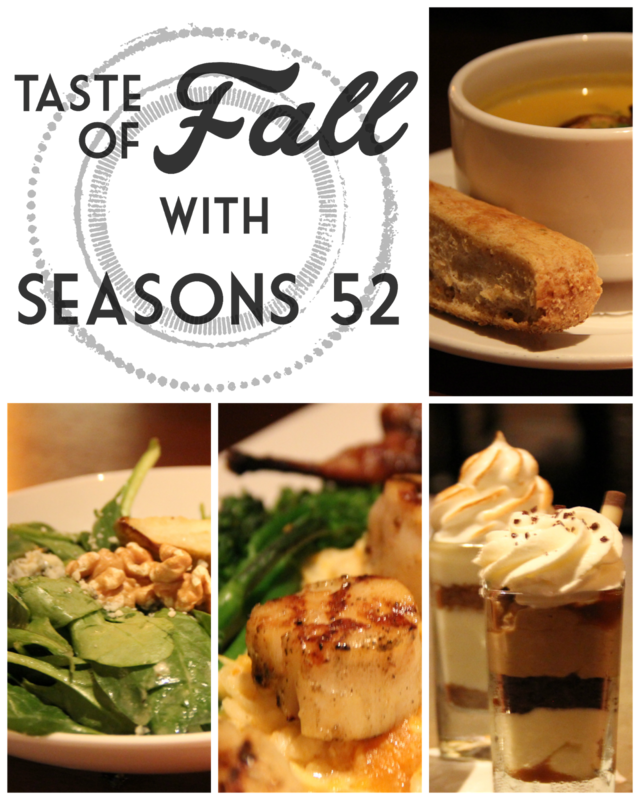 Last week, Jeremy and I had the opportunity to try the new Autumn menu at Seasons 52. Um. It was amazing. Even though it still feels like summer outside, eating these hearty warm dishes made it actually feel like Fall. Let me back up a second. For those who might not know, Seasons 52 (which has locations all over the country) has a special menu that changes with the seasons. They use fresh, seasonal ingredients that pair together perfectly. My favorite dishes were the Butternut Squash Soup (which I didn't even know I liked) and the Scallops (which I probably would have never ordered on my own). Something else that was really good that I was surprised about was the Quail. I mean, to be honest, I don't think I had ever eaten quail, but I was pleasantly surprised at how flavorful it was. I highly suggest Seasons 52 for a seasonal meal that will definitely not disappoint. So, which dish do you want to try? This meal was complimentary, however, all opinions expressed are entirely my own. We tried out Seasons52 for our anniversary. Oh my goodness, it was so good. We had that salad and the scallops along with the pork tenderloin. The blueberry lemon dessert was my absolute favorite though. We will definitely be going back! Yum! Butternut squash is definitely my favorite fall soup! 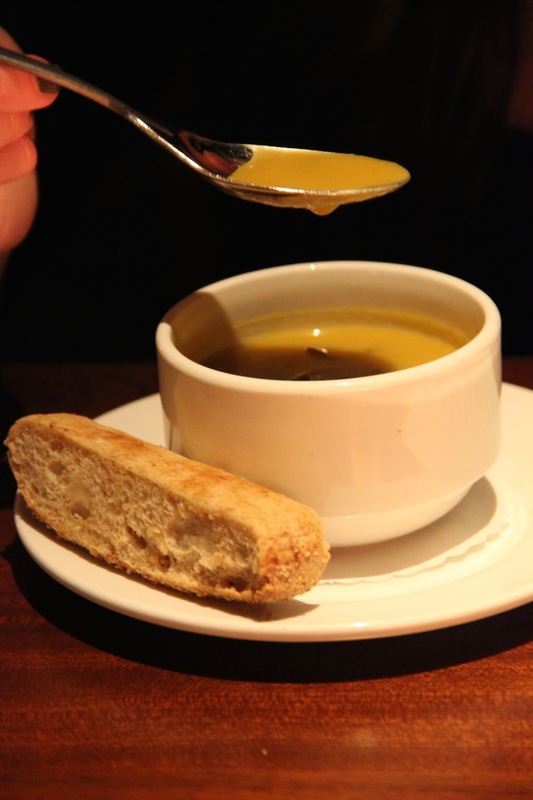 I really like the squash soup at Panera (which tastes like butternut squash to me).